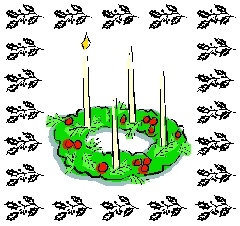 I haven’t got my advent wreath up from the downstairs storage locker yet so I thought I would light a virtual candle here on my blog. Happy Advent everyone. The people who walked in darkness have seen a great light. They lived in a land of shadow and now a light shines upon them.